There is perhaps nothing more divisive to Melbournians than Federation Square. When the site was opened in 2002, some Aussies derided it as an architectural nightmare. They said that it was one of “the ugliest eyesores I’ve ever had the misfortune of seeing”. That “everything about this abomination speaks volumes of the ineptitude and inabilities of the architectural team that put this world class laughing stock failure onto our streets”. But sometimes things just need a chance to grow on you. These days, Federation Square is visited by more than 10 million people per year. And it’s tied with Queen Victoria Market for the top tourist destination in the city. Not bad for a building that was once named one of the ten ugliest in the world! While some Aussies look through rose-tinted glasses about a pre-Federation Square Melbourne, others have learned to embrace and even love the public gathering space. We’ll show you how this once ugly-duckling has flourished in to the must-see beautiful swan it is today as we show you the best things to do in Federation Square. Old-fashioned museums a bit too stuffy for you? Sick of seeing yet another exhibit of 17th century Victorian silverware? (It used to be made of real silver!) Then head on over to ACMI, an interactive museum of digital culture where video games are revered as high art. 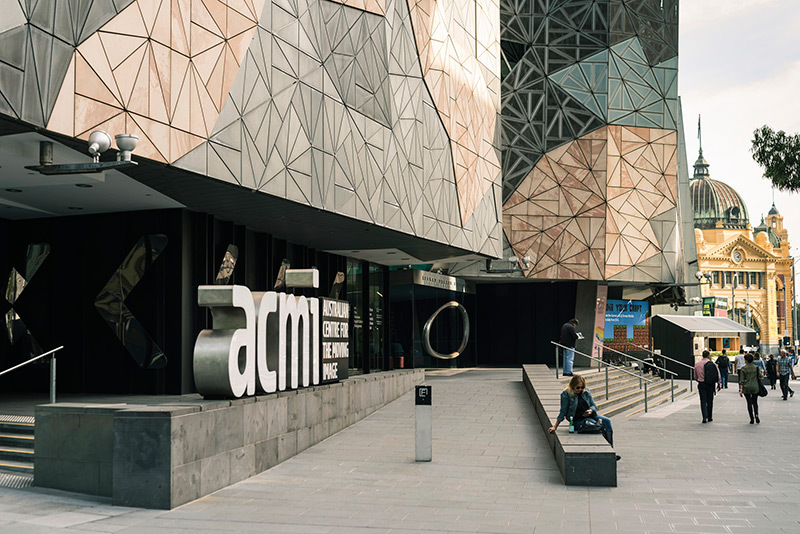 ACMI is the only national museum of its kind in Australia. Here, you can attend screenings of contemporary and experimental art films in one of several screening rooms. Stop by the production studios for hands-on workshops for film and digital video. Multiple screen galleries exhibit video art, sound installations, interactive film and more in a unique, underground space. See rotating exhibitions dedicated to video games, the history of the moving image and more. Most exhibitions are free. More than 20 bars and restaurants pack in to Federation Square. The large, open outdoor space is perfect for grabbing a bite to go and posting up right in the square. You can eat great food and watch the bustle of the city center. The large outdoor patio of Time Out Café + Bar is perfect for enjoying Melbourne’s beautiful sunny weather as you dine. For a drink with a view, head to Transit Rooftop Bar where you’ll be treated to crafted cocktails and craft beer with picture-perfect panoramas of downtown Melbourne. All Australian art. All the time. The National Gallery of Victoria (NGV) opened the Ian Potter Center to highlight Australia’s best artists and works. From Aboriginal Australian dot paintings to contemporary, experimental sculpture, the gallery covers a huge swath of Australian art. More than 25,000 paintings, textiles, sculpture, photographs and more pack the Ian Potter Centre. You’ll also find the building itself to be a work of art in its own right. The metal, glass and concrete patchwork is an amazing site inside and out. Federation Square was built to be a prime access point to the Yarra River. So what better way to utilize this entryway than by taking a river cruise. Walk straight over from federation square and jump on one of the riverboats. 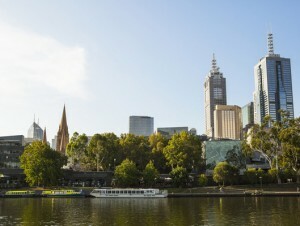 You’ll float the river seeing Melbourne’s beautiful cityscapes and gardens. Learn about this amazing city from the comfort of a river cruise liner. Melbourne has a beautiful, urban skyline. 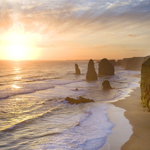 As the most populous city in Australia, Melbourne has a cosmopolitan feel while retaining that distinct Aussie charm. 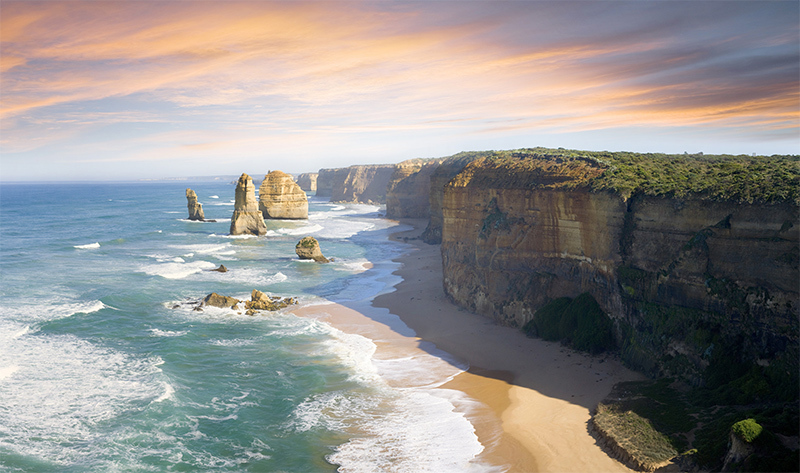 From the city to the Outback, Melbourne perfectly illustrates the multi-faceted character of Australia. True to its purpose, if there is a convention or event worth attending, chances are it is held in Federation Square. 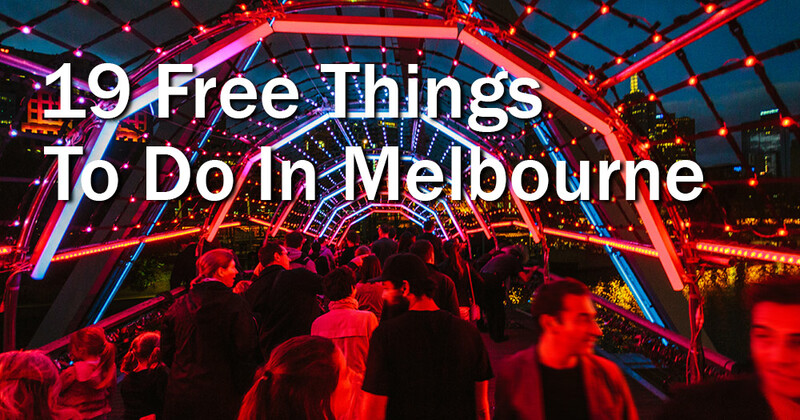 Here’s the short list of happenings throughout the year so you can find something to do no matter when you make it to Melbourne. Multicultural Festivals – Nearly 25 diverse cultures are represented in festivals throughout the year – from the Asian Food Festival to a Diwali celebration and more. VIC100 Festival of Wine – The top 100 wines produced in Victoria make their way to Federation Square for public tastings and more. Federation Square has flourished in to the destination it was always meant to be. It’s become a popular meeting spot for locals and perhaps the number one visited site in Melbourne – despite some early derision from skeptical locals! Plan a stop at Federation Square and see for yourself why the “little square that could” might top your list of great memories in Melbourne. In Melbourne, the Australian Open isn’t only about tennis. Although, that’s a huge part of it. The Australian Open is really about fun and entertainment. This year, Melbourne’s biggest party just got bigger with amazing news for tennis enthusiasts as well as those just looking for a good time! 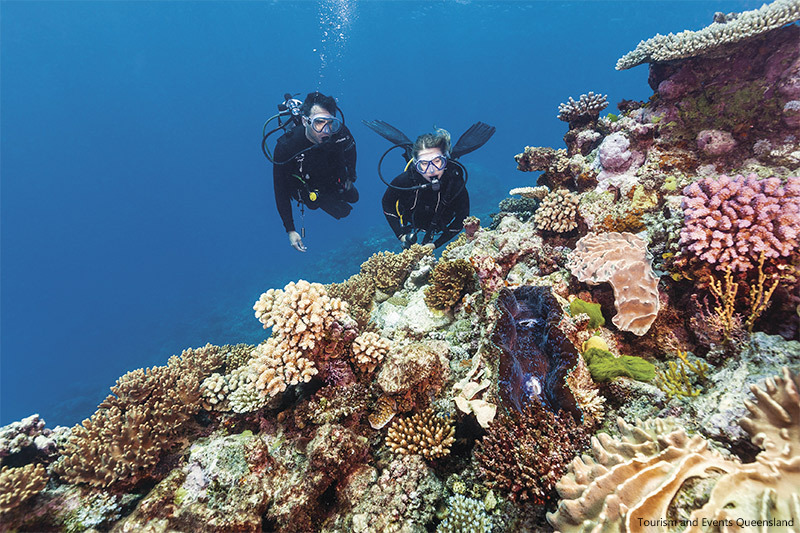 Experiencing the Australia Open is just one of many reasons to travel to Australia. All of the other top players from 2016 have also confirmed their attendance at the grand slam of the Asia Pacific. There will be plenty of opportunities to see breakout players set their sights on taking out the big guns, like Angelique Kerber did last year. “Coming back to Melbourne as the Australian Open defending champion will be incredibly exciting, I can’t wait! This is the tournament that set me up for my most successful year and I will never forget those amazing two weeks in Melbourne. It will be an amazing experience to walk out on Rod Laver Arena again, and relive such an exciting time in my life,” said Kerber. The Australian Open will return with a free two day opening festival, providing entertainment and tennis viewing for the whole family on the upper and lower levels of Birrarung Mar – including access to some of Melbourne’s best food trucks. 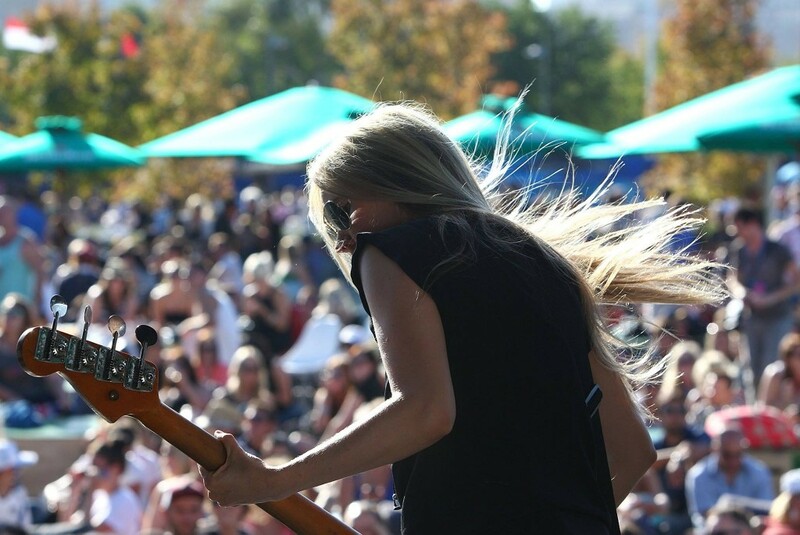 Those with ground passes to the Australian Open will also enjoy some of Australia’s biggest bands at “The Open Sessions” on the middle terrace. For the first time, the AO Festival will be hosted at Birrarung Mar, a brilliant and well planned outdoor venue on the banks of the Yarra River with 3 levels. The venue also has many interesting pieces of public art, some celebrating the diversity of Victoria’s Indigenous culture. 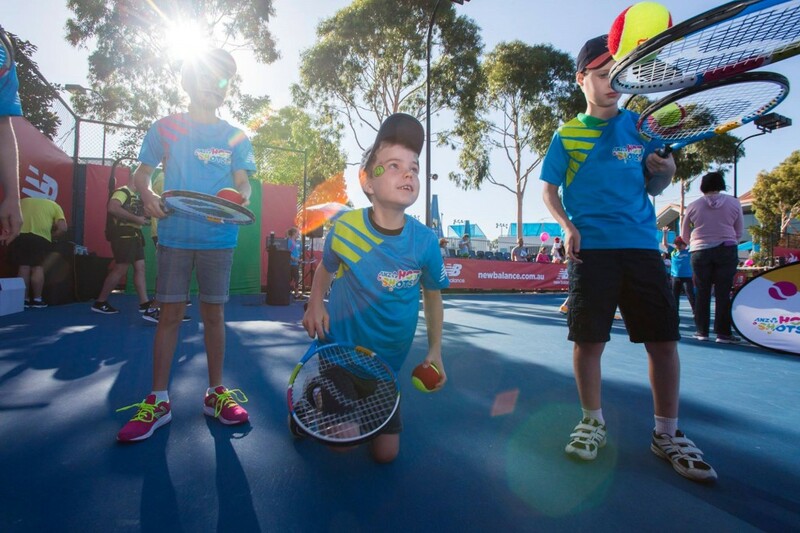 Kid’s Tennis Day will also return with free entry for children under 15 and access to the Kid’s Tennis Day Rod Laver Arena Spectacular featuring some of the world’s best tennis players. The Australian Open will be in Melbourne from January 16th – January 29th 2017 with the AO Festival taking place on January 14th & 15th. 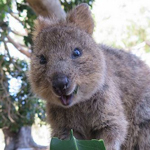 Would you like to travel to Australia to experience the Australia Open? We can help you plan your trip and book your Australian Open tickets.